Morphine is an analgesic and narcotic drug used to treat pain. Derived from the opium flower, morphine is a legal prescription medication, and is administered intravenously or by mouth in liquid or tablet form. Morphine belongs to the opioid drug class, and as such, is a highly addictive and habit-forming medication. Even those who take morphine as prescribed by a doctor can quickly develop a dependence, especially with prolonged use. Usually, because of its addictive properties, morphine is only prescribed for acute pain episodes. Unfortunately, people who’ve been given a legitimate prescription for morphine can find themselves addicted after the medicine is exhausted. Without help, people with a morphine addiction can turn to harder street drugs in the opium class, such as heroin. Heroin addiction and overdose deaths are on the rise as a direct consequence of the opioid crisis, of which morphine plays a role. Worldwide, an estimated 15 million people suffer from opiate addiction. Addiction is a horrible illness that is almost impossible to overcome without outside help, support, and intervention. Most people who attempt to quit drugs on their own, morphine notwithstanding, will start out with optimism and determination. But then withdrawal symptoms start. Withdrawals are the painful side effects a person experiences when they stop taking an addictive substance. Some drugs, such as benzodiazepines and alcohol, can have dangerous side effects which can cause seizures, comas, and death. With morphine, withdrawals are incredibly uncomfortable and distressing and can lead to long-term side effects if a person doesn’t get outside medical help during the withdrawal phase. What is the timeline for morphine withdrawal? Morphine quickly binds to receptors in the brain that are responsible for regulating mood, well-being, and pain sensations. Without the drug, withdrawal symptoms can begin as soon as six hours after the last dose of morphine was taken. Within the first five days, symptoms of morphine withdrawal will peak, and for most people, symptoms begin to gradually ease up within two weeks after cessation. However, some people will experience lingering depression after quitting morphine, and it is critical for these people to get help from medical professionals. Without it, the risk of suicide, self-harm, and addiction relapse is high. Also, most people who’ve quit using an opioid will experience long-lasting cravings for the drug. Ongoing maintenance is a must for any recovering opioid addict. What are the physical symptoms of morphine withdrawal? Because morphine and its opioid cousins suppress breathing and blood pressure, once the drug is ceased, these functions will go into overdrive. Problems with blood pressure can cause serious health consequences if left unmonitored and untreated. What emotional or psychological symptoms will someone experience during withdrawal? What is the difference between going cold turkey or choosing medical detox for morphine withdrawal? Cold-turkey indicates a sudden, at-home cessation of morphine. This isn’t recommended. 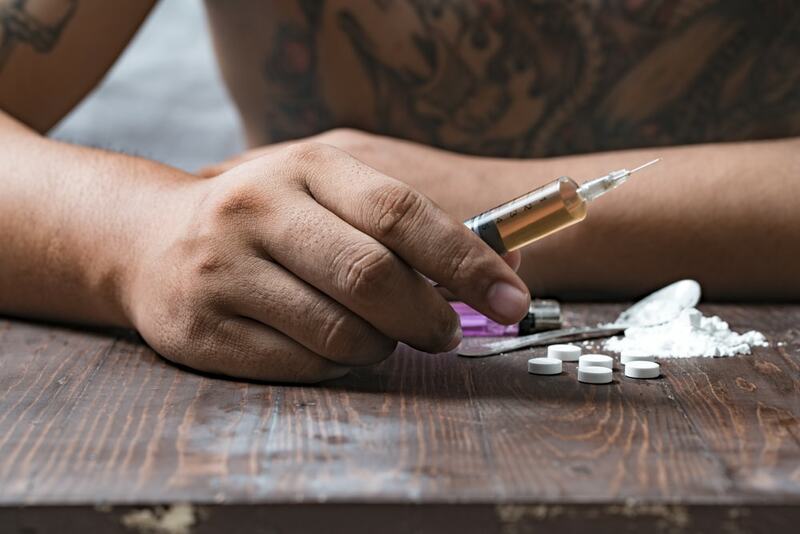 Long-term addicts have become physically dependent on the drug, and without it, can experience dangerous and sudden changes in blood pressure and breathing rate. Also, a lack of gradual cessation in a medical detox can cause depression and make any symptoms of withdrawal much worse. In medical detox, doctors can prescribe replacement drugs or gradually taper patients off morphine to lessen withdrawal symptoms. What is safe for morphine detox? Replacement medications such as Methadone, naltrexone, and buprenorphine are safe for morphine detox. Also, with doctor supervision and approval, patients in a detox center can start taking ever-decreasing doses of morphine to safely and gradually detox. In some cases, patients may need an antidepressant or anxiety medication to help alleviate the emotional withdrawal symptoms. Blood pressure medication can also be administered. What isn’t safe for morphine detox? It is not safe for someone to quit cold turkey or without support and supervision. If someone attempts to stop on their own, they are putting their health at risk. Also, quitting without medical supervision can make relapse or self-medicating with other drugs a factor. When someone tries to quit by themselves, they are surrounded by negative influences and people and places that remind them of their past drug use. It is all too easy for someone to go back to drugs when painful withdrawal symptoms kick-in while they are attempting to quit at home. In a detox center, patients are given a thorough examination of any underlying physical or mental health problems. They are put on tapering off schedule and also kept in a safe and serene environment where doctors are on call 24/7 to help patients through the withdrawal phase. Therapists and social workers are also there to formulate and execute effective and customized treatment methods so people who are in recovery can stay drug-free. How does morphine withdrawal differ from other drugs in its class? The brain processes morphine in substantially the same way as other opioid drugs. Symptoms of withdrawal are similar across the opioid spectrum. Unfortunately, opioid drugs tend to leave the user with lingering addictions long after cessation, which is why maintenance and replacement drugs like methadone are incredibly useful for treating opiate addictions. How are people affected differently from morphine withdrawal? A person’s height, weight, metabolism, and overall health can affect the withdrawal process. Also, how long someone has been using and if they are a polydrug user can make symptoms last longer or feel more intense. If someone has an underlying, comorbid mental health condition, that can also affect their outcomes. Furthermore, the more support people have, the more likely they are to stay clean. Going to medical detox and rehab for morphine withdrawal and addiction keeps people safe, lessens withdrawal symptoms, and prevents relapse.